Indiana Wesleyan University in Marion, Indiana is devoted to training the future leaders of the Wesleyan Church. Founded in 1920, the Universities mission was to provide a faith-based education to Wesleyan students, a mission that remains true today. Indiana Wesleyan University’s 3,600-seat chapel/auditorium serves as the central gathering place for worship, major performances, convocations, commencement ceremonies, and three weekly chapel services. 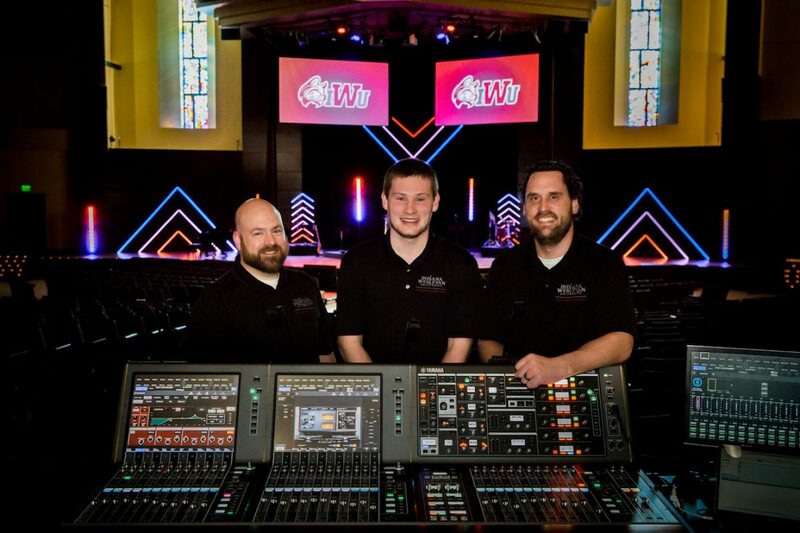 “During our Annual Fall Academic Convocation in September, our mixing system quit passing audio several times during the program,” states Phil Huber, Director Sound, Lighting & Media Group, Indiana Wesleyan University. “There is never a good time for a console to fail, and having one fail in front of the campus community and a full house wasn’t acceptable. After some extensive troubleshooting, we decided the best course of action would be to replace the console instead of sending it to be refurbished. 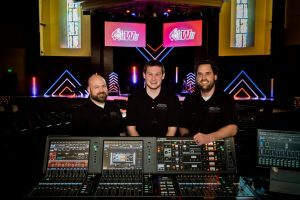 The University also houses a Yamaha CL5 with two Rio3224-D stage boxes in their 1,152-seat Phillippe Auditorium and a Yamaha CL3 that serves as a monitor/portable desk along with a Rio3224-D and Rio1608-D. Huber said they would also be installing a Yamaha QL1 in their new football stadium with a Rio1608-D this spring. For more information on Indiana Wesleyan University, visit www.indwes.edu. For more information on Spectrum Sound, visit www.spectrumsound.net.